LHASA, China (Reuters) – I had barely stepped off the plane, gasping slightly in the thin Tibetan air, when our government minder wandered over to tell me plans for an evening of rest and adaptation to the high altitude had been canceled. Instead a dash to see Tibet’s most sacred temple, and a news conference that dragged late into the night, set the gruelling pace for a reporting trip around China’s most sensitive region. The one-year anniversary of deadly riots and 50th anniversary of the Dalai Lama’s flight into exile are looming in early March. Both are potential triggers for unrest and key tests of China’s control of the closed-off Himalayan plateau. While China has promised the foreign media unfettered access to most parts of the country since hosting the Olympics, Tibet is an exception. Foreign tourists are also banned at present, except for a lucky few given special permission. So being one of a dozen journalists taken on the first media visit to the region in months was a rare but daunting opportunity. Readers outside China are eager for news not filtered by China’s state media, while officials escorting us were equally keen to ensure we saw the region and its troubles from Beijing’s perspective. Our stamina was strained by an agenda kept largely secret from us but packed from morning until late at night, busy enough to keep us from slipping out to meet ordinary Tibetans. The area is strategically vital to China for its potentially rich mineral reserves and its snow-fed highlands which are the source of many of Asia’s rivers. Beijing’s rule of the region has also become a sensitive diplomatic issue after a globe-trotting campaign by the Dalai Lama raised Tibet’s profile. So I was curious to see if the government had relaxed or tightened its control on volatile Lhasa, what ordinary people thought about the upcoming anniversary and whether any of the ethnic tension generated by the riots had dissipated. Getting a handle on what was really going on in Tibet turned out to be difficult in a hectic, stage-managed four-day visit. I spent what seemed like half my time arguing against visits to model villages and tourist sites such as palaces, where there was little chance to catch even a controlled glimpse of ordinary life. I tapped my feet in frustration through trips to a walnut oil processing factory and local astrologers, and simply skipped a meeting with the woman who carried the Olympic torch up Everest. We were only taken to a second Lhasa monastery after I harassed our unlucky minders and threatened to boycott an unwanted trip to a traditional medicine hospital. But I was surprised and grateful that officials whose careers could be put on the line by our reporting were willing to show some flexibility. They even let me slip off to a Tibetan market instead of touring the Dalai Lama’s summer residence. Tibet was often breathtakingly beautiful despite the stress and I had a few moments of the unexpected interaction that can make reporting such fun, like when a grinning old pilgrim gave me a slap on the bottom for taking a photo of her devotions. But we were stalked by disconcerting reminders that in Tibet even our own eyes could not always be trusted. Locals told us that for our visit, officials had hidden hundreds of paramilitary police who had been keeping order in Lhasa for months. It was the type of large-scale stage-management of reality I thought had been abandoned along with Maoism. “It’s amazing. The day before you arrived, Lhasa became suddenly peaceful again,” quipped one taxi driver. When we were taken to a provincial town, police lined many of the villages along our route, their backs to the road so they could keep a close eye on clusters of locals. Officials would not explain why they were there. And as we were hurried through the halls of Lhasa’s monasteries I asked to meet some rank-and-file monks, the originators of many recent protests in Tibet, but their red-robed superiors said they were locked away in study or otherwise unavailable. A colleague then stumbled across a group of them cooking nearby, but was hurriedly ushered away. The message Beijing seemed keen to convey was that Tibet was stable and prospering. Yet the careful attempts at managing our perceptions served only to create the opposite impression. The watchful police, disappearing soldiers, sequestered monks, and days packed with irrelevant visits left me convinced that China thinks Tibet is dangerously volatile, and worries about both its grip on the place and international opinion. The one thing I am still unsure about, despite my best efforts, is the opinions of ordinary Tibetans outside the government apparatus that showed us around. Beyond a raised eyebrow or an unhappy grimace, none wanted to open up. “It’s difficult here. We don’t dare talk” was the best I could get. I am just one person. I have been posting news articles in this blog for 2 years, including my trip to Dharamsala in 2007. I find it hard to post reports on the Tibetan issue because I feel my view is not valid or taken into account. I am a Westerner and as such have no place getting involved in the affairs of Tibetans. But, I just want to help. Tibet and her people are very close to my heart–for many, many reasons that go back to my childhood. Another part of this, is that I know what it’s like to be beaten and abused, I know what it’s like to be imprisoned, and I know what it’s like to lose my country. But, I am just one person. One small person who does what she can but whose actions change nothing. Sure, my videos are “nice” and “supportive” and my words are thrown out into the chasm of cyberspace, but I can change nothing. And it frustrates me. Chinese people tell me I don’t know what I’m talking about, Tibetan people tell me I don’t know what I’m talking about–because I’m foreign to their worlds. 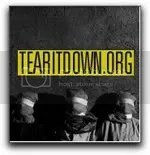 Torture and suppression is the same the world over. I know what I’m talking about… and I want to help. But, I’m just one person. 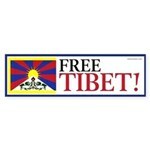 This blog has come to be my only avenue for spreading the word about Tibetan issues. I’ve been part of other movements, but they always contain too much ego. Too many “big men” looking for fame and risking the integrity of the cause. I don’t know what to do. I have no money. I have no skill other than compassion and a desire to right the wrongs. I’ve taught myself some Tibetan, but I live far from any communities where I can offer even basic assistance. Part of me feels that I am not wanted in the cause–only my money is wanted. That’s harsh to say–but, when I’ve been told that I am the wrong ethnicity to “understand” how am I supposed to feel?? Do Tibetans really feel that way? That Westerners are not welcome in their fight? I know already how the Chinese feel about me from comments left on this blog and my youtube and facebook accounts as well as threatening emails and viruses sent to me. I don’t know. Maybe I’ve got all of this wrong–but maybe I’m not welcome, and I’d rather know now…. Chinese police today shot a burning Tibetan monk before they put him out, the Free Tibet campaign said. The monk had set himself on fire in a protest over Tibetan new year rituals in Aba county, Sichuan province, the group said. The area saw some of the worst unrest during Tibetan protests last March. Free Tibet said witnesses saw Tabe, a monk aged in his 20s, walking from Kirti monastery into town this afternoon. He was carrying a hand-drawn Tibetan flag with a picture of the Dalai Lama at its centre. The claims could not be confirmed independently, but Whitticase said the group had indirect accounts from three witnesses. Tibetans have been heavily punished for passing details of incidents to outsiders. Free Tibet said up to 800 monks had reportedly gone to Tabe’s home village of Trinkin to say prayers, believing him to be dead. The group said Tabe’s protest followed an attempt by almost 1,000 monks at Kirte to use a prayer hall to observe the Monlam festival – part of Tibetan new year – despite being told not to do so. They were told to return to their rooms. The authorities have been angered by some Tibetans deciding to boycott new year celebrations other than religious rituals as a mark of protest against Chinese rule. Last year, Tibetan exile groups said police shot dead several protestors in Aba county. The campaigners released graphic photographs of bodies and the names of five alleged victims. Chinese state media subsequently said that officers shot and wounded “rioters” in self-defence. More than 100 monks from the Lutsang monastery in Qinghai province held a candlelit vigil and protest march on Wednesday, the US government-funded Radio Free Asia reported today. Losar is almost upon us and, as we all know, Tibetans have very different feelings towards this year’s Losar. The concerned authorities took notice of this very early on. Party Secretary Zhang Qingli has repeatedly given the orders, saying “playing the first move of the chess well, and wage a war on one’s initiative well”. Various state media have attributed this “Not celebrating Losar” to the Tibetan Government in Exile and the Tibetan Youth Congress. In reality, “Not celebrating Losar” was first proposed by Tibetans in Tibet and originated out of spontaneous wishes. Nobody organized Tibetans “Not celebrating Losar”; nobody called on Tibetans “not to celebrate Losar”, no, no. However, the impact is tremendous, everyone is aware of this great ‘civil disobedience’ all over Tibet. Some say that this kind of “civil disobedience” is only at a low-level, that it is merely not celebrating and nothing more. They maintain that it is a safe action which ends on the individual level, is short-term and does not entail much great risk. In fact, this is not true. Over the past year, the military might all over Tibet has been so great that all Tibetan areas have become prison-like. In today when you could even be arrested for listening to music, “not to celebrate Losar” has been regarded as a serious “separatist” activity, so much so that some Tibetans have been accused of spreading “not to celebrate Losar” rumours and been arrested. In fact, ‘civil disobedience’ in Tibetan areas is even more difficult to carry out than in other places, therefore any kind of result obtained is worth paying attention to. And Tibetans have never stopped voicing their demands and protesting: major episodes of dissent occurred in 1959, 1969, 1979, 1989, 1999… and right up until last year when the scale of demonstrations shocked the world. Of course, the inhumanness of the authorities once again became reality: its response is still heavily armed military police, armoured vehicles and jails. It has always been nothing but “strike hard” campaigns. People who live under such state violence usually fear the violence, and they have to be silent because of their fear. It is a long-term silence and a silence in which people are leading a befuddled life. It is also a silence in which “people are deeply grateful”; and it is a silence in which they can only prostrate, hang up prayer flags and distribute lungtas (wind-horses)… This is not something one can not understand. But this time it is different. Inside Tibet people have made the decision not to celebrate Losar this year. It appears to be not just an expression of sorrow for those Tibetan shot, tortured and imprisoned in last years uprising, but also an act of defiance against the Chinese government that wants to show the world that Tibetans enjoy religious and cultural freedoms under its rule. In exile there has been some debate on whether or not to celebrate Losar. There are valid arguments on both sides, but then again the logic of revolution is another thing altogether. When the struggle calls we can only obey. Earlier I had written a cultural essay for Losar, but then I decided on a a more political gift for Rangzen advocates and activists. The following piece is actually a pamphlet to be distributed on March 10 and future rallies and meeting, but I thought that those who believe in Rangzen might enjoying sitting back with a chang-koe and reading it on Losar day. Most of us have a general idea of the facts that have been presented before the UN and the world, to show that Tibet was an independent country before the Communist invasion: treaties, the Shakabpa passport, the flag and so on. I have tried to provide details that are probably not that well known but which I hope will edify and perhaps even cheer and encourage. I have attempted to be scrupulously honest with the facts and have provided authentic references for nearly every claim or statement made in the pamphlet. Since the pamphlet had to be kept short, all the references, additional material, related documentation, photographs, maps, illustrations, audio clips and bibliography will be on a website http://www.rangzen.net. You can access what you want on the section “Independent Tibet – Some Facts” and clicking on the reference number. The fully laid-out and illustrated pamphlet can be downloaded (in black & white or colour) at the website and can be printed at home or at a commercial printer. Individuals or organization can print and distribute the pamphlet, and space is provided on the front cover for the organizations credit line. The website will be up in a few days – definitely before March 10. Before the Chinese Communist invasion of 1950 Tibet was a fully functioning and independent state. It threatened none of its neighbors, fed its population unfailingly, year after year, with no help from the outside world. Tibet owed no money to any country or international institutions, and maintained basic law and order. Tibet banned capital punishment in 1913 (mentioned by a number of foreign travelers ) and was one of the first countries in the world to do so. There is no record of it persecuting minorities (e.g. Muslims ) or massacring sections of its population from time to time as China and some other countries do – remember Tiananmen. Although its frontiers with India, Nepal and Bhutan were completely unguarded, very few Tibetans fled their country as economic or political refugees. There was not a single Tibetan immigrant in the USA or Europe before the Communist invasion. I am so angry with Hillary Clinton. Obama was the only Presidential Candidate vocal about the issue of Tibet, yet his Secretary of State is blatantly ignoring the severity of the issue. Paying her first visit to Asia as the top US diplomat, Clinton said the United States would continue to press China on long-standing US concerns over human rights such as its rule over Tibet. “But our pressing on those issues can’t interfere on the global economic crisis, the global climate change crisis and the security crisis,” Clinton told reporters in Seoul just before leaving for Beijing. T. Kumar of Amnesty International USA said the global rights lobby was “shocked and extremely disappointed” by Clinton’s remarks. “The United States is one of the only countries that can meaningfully stand up to China on human rights issues,” he said. “But by commenting that human rights will not interfere with other priorities, Secretary Clinton damages future US initiatives to protect those rights in China,” he said. Students for a Free Tibet said Clinton’s remarks sent the wrong signal to China at a sensitive time. “The US government cannot afford to let Beijing set the agenda,” said Tenzin Dorjee, deputy director of the New York-based advocacy group. China has been pouring troops into the Himalayan territory ahead of next month’s 50th anniversary of the uprising that sent Tibet’s spiritual leader the Dalai Lama into exile in India. “Leaders really need to step up and pressure China. It’s often easy to wonder whether pressure makes a difference. It may not make a difference in one day or one month, but it would be visible after some years,” Dorjee said. Amnesty International and Human Rights Watch had sent a letter to Clinton before her maiden Asia visit urging her to raise human rights concerns with Chinese leaders. China has greeted President Barack Obama’s administration nervously, believing he would press Beijing harder on human rights and trade issues than former president George W. Bush.